20/04/15 – Jon Hare gives details about the C64 edition and links LT Software. Firstly the working title for the game was “Mother or Harlots”, which caused controversy, and was then changed to “Mother of Charlotte”. Eventually this was deemed to boring, and “Twister” was tagged on. Then, the game was advertised quite a lot with scantly clad females helping to promote the game’s story line. At a computer convention in the United Kingdom, System 3 were famously asked to remove the females from the hall. 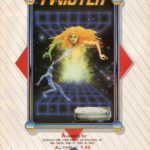 “The evil Twister has a plan to ruin humanity, and only you can stop her. This involves travelling through your inner thoughts to gather the required symbols. The first level is platform-based and scrolls into the screen, with platforms arranged as with the grid in hopscotch, with one in the middle followed by one to either the left and right, then another in the middle. You must collect crystals, as well as packs of 8 shots (you start with 20), whilst shooting as many of Charlotte’s minions as you can. So the game never surfaced on the C64, but it did eventually surface on the Spectrum, created by Chris Yates and Jon Hare. Jon Hare also did the graphics on the C64 version, and mentioned that he doesn’t recall too much about it. It still begs the question why the game never got released if other versions did make it. 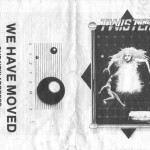 We know that something must have been in production, due to the mention of the C64 in almost everything Twister based. Was it a poor conversion? Jon confirms to us that the game was commissioned by System 3 via LT Software (who seem to have had a poor run of getting any games completed). 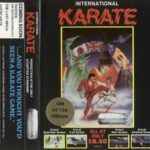 Jon and Chris designed and completed the Spectrum version, but the C64 duties were handed to someone else (who Jon cannot recall), and it seems it fell by the way side. 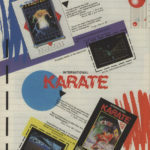 So it seems that LT Software were dropped, but possibly the game wasn’t shaping up well on the C64. It is hoped that something may be found, but its looking increasingly unlikely now!